iMazing is delighted to sponsor The Mac Observer's presence at WWDC 2018. TMO fans: Celebrate WWDC with us and enjoy a 30% discount on all iMazing licenses! Offer valid until June 15th, 2018.
iMazing was created as an alternative to iTunes, so people could freely manage music and files on their iPhone, iPad or iPod. The software now allows Mac and PC users to go beyond iTunes' capabilities and take control of their mobile devices. Media files can be moved between any iPhone or iPad and a computer. Favorite pictures, homemade videos and music can be saved and shared, without using iCloud or iTunes. What's new in iMazing 2? iMazing 2 is the most advanced backup solution for all iOS devices. More powerful and user friendly than iTunes, more private and safer than iCloud. Plus, with a fresh interface and intuitive wizards, it's a richer experience for all Mac and PC users. 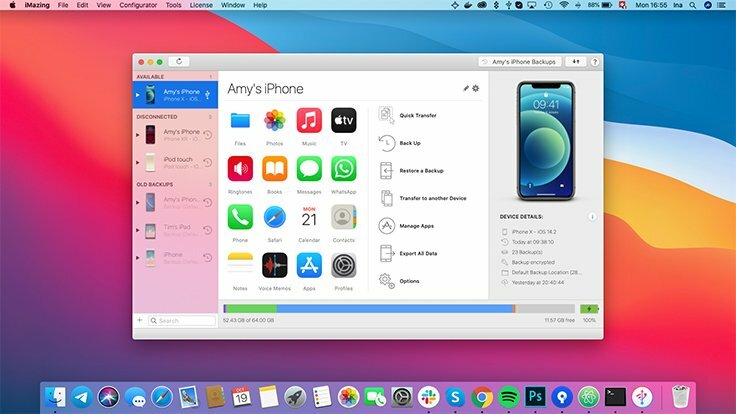 iMazing 2 automatically keeps a history of your backups. You can switch between different versions in exactly 3 clicks. 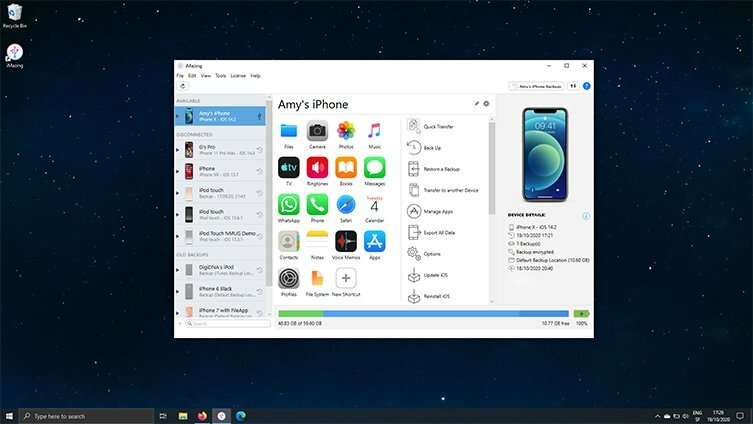 Go back in time and browse your iPhone just as it was yesterday or last month. The new colourful and personalised interface is a joy to use. And, thanks to our new wizards, backing up, restoring, or transferring data to a new device has never been simpler. iMazing supports the latest iOS version, and boasts great retro-compatibility too. It can even read older backup formats, encrypted or not. We've been around since the first iPhone, and it shows! Unlike with iTunes and iCloud, backups are safely archived and never overwritten. Only new data is stored, so new backups use less space. Plus, you can choose to backup each of your devices to a different location. iMazing 2 monitors battery performance and indicates its health. Users can check anytime a battery's charge and wear. Convenient when you suspect a problem, or just to be sure that everything is fine. What can iMazing 2 do?